Asphalt Paving Services | Norwest Construction Inc.
One of the single largest investments in the appearance of your home is your driveway. With over 33 years of experience, Norwest Construction Inc. has the expertise to provide you with the highest return for your dollars spent. 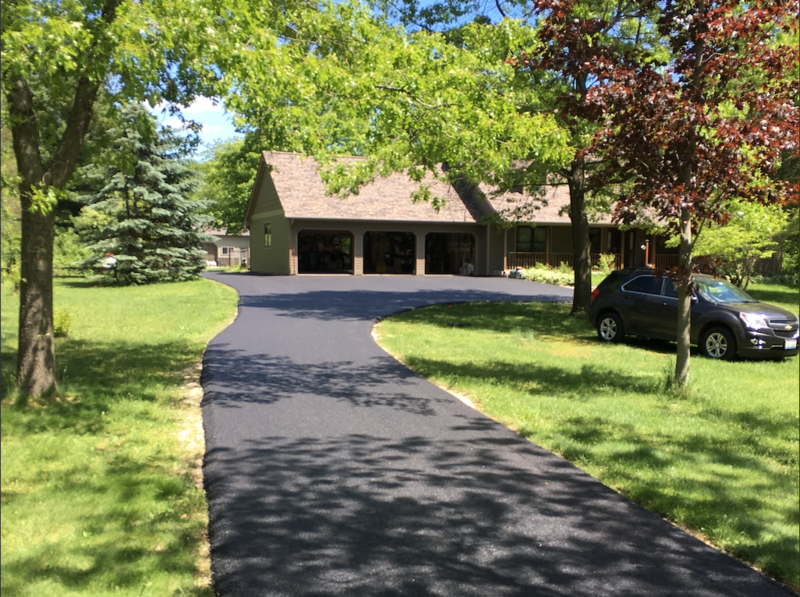 Coupled with proper preparation, equipment, and knowledge, our residential asphalt paving makes your driveway’s appearance and strength second to none. Norwest Construction In. 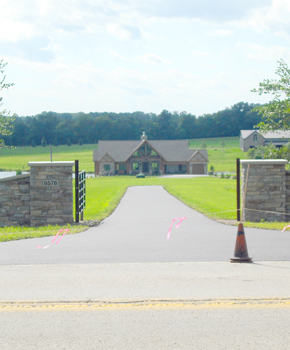 will make sure any necessary permits or pre-paving requirements are taken care of, so that the work on your driveway is implemented in the proper progression. Our crew take great care while working around your landscaping to prevent any disturbances. Norwest Construction Inc. is fully insured and bonded, and we provide free written estimates and consultations. Contact us to schedule your free estimate today! We begin with our preparation crew on-site to do the asphalt or concrete prep work. This may involve simply grading your existing gravel base, removing the old asphalt/concrete, or even excavation of grass and dirt for the installation of gravel. The grade will be determined with a level and/or transit to ensure proper drainage. Once the gravel is leveled off, it is rolled for maximum compaction. We usually wait about a week before we do the paving, so that any settling of the base can be touched and the aggregate base is at its highest strength to allow us to achieve maximum compaction of your new asphalt mat. You are welcome to drive on the gravel between the time of the prep work and the paving. Our paving crew will perform a final grading your driveway if necessary, and then pave with 2″ finish thick compacted hot mix asphalt mat. The asphalt is rolled with a 4-ton vibratory roller for complete compaction and then “finish-rolled” with a smaller 1-ton roller for a final compaction of the asphalt. Before the crew’s departure, they will put caution tape across the end of the drive to prevent accidental driving on your new asphalt. Don’t trust the public funds to the lowest bidder. Trust them to a bidder whose reason for being in business is the reliable delivery of quality work at the most competitive price. Call us for everything from roto-milling to seal coating to pavement marking / signage, and even concrete flatwork.